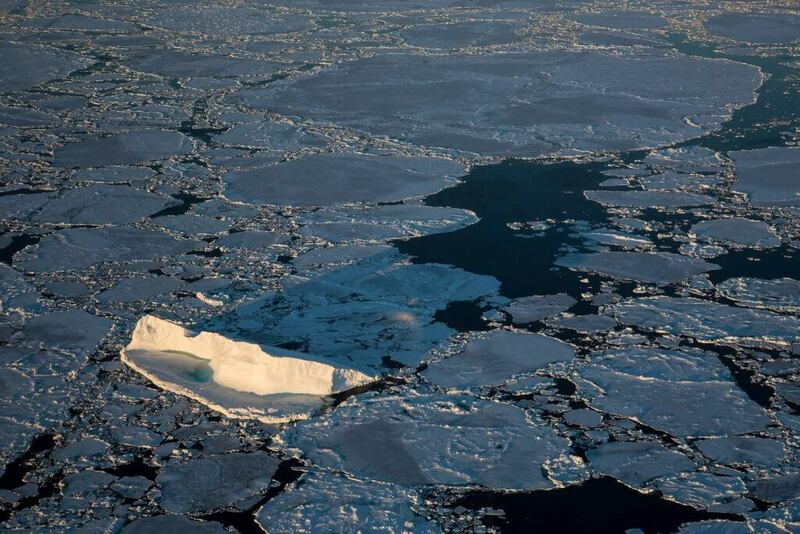 Where is the arctic cod? As part of the Green Edge project on the CCGS Amundsen, our team from Louis Fortier’s laboratory at Université Laval is aboard to sample zooplankton and fish. To do so, we use nets, of different dimensions and mesh size. 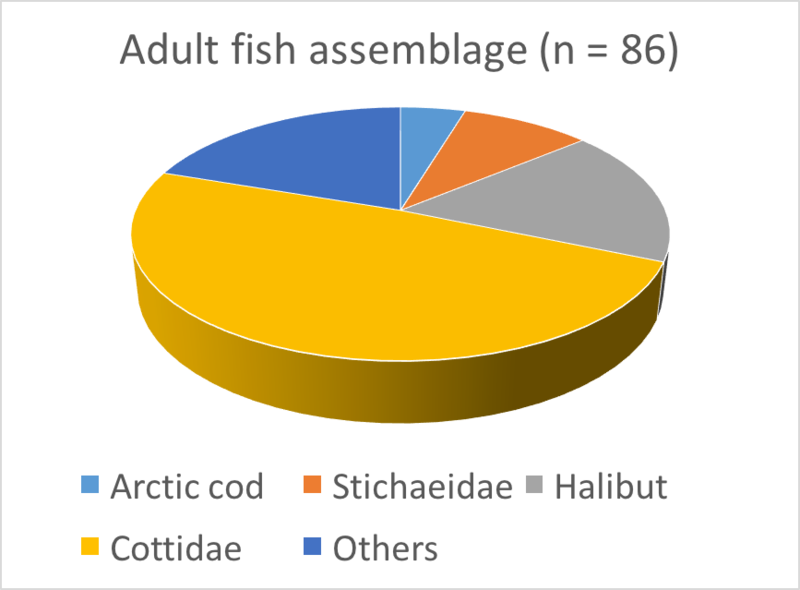 The fish species that we aimed to catch is the Arctic cod (Figure 1), a pelagic species that plays a pivotal role in the Arctic ecosystem. Figure 1: Arctic cod (Boreogadus saida). This species is responsible for most of the transfer of energy from the lower trophic levels, such as copepods and amphipods, to higher trophic levels, such as seals, whales and seabirds (Figure 2.). 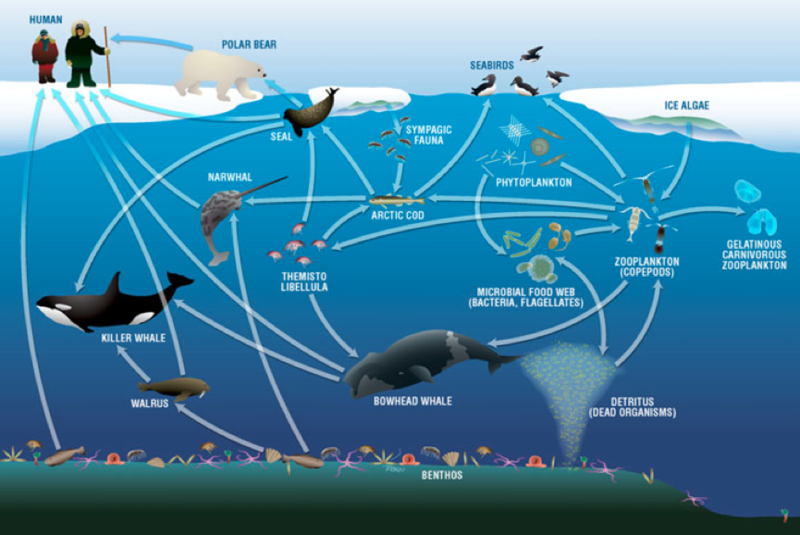 Figure 2: Arctic cod plays a pivotal role in the Arctic ecosystem. 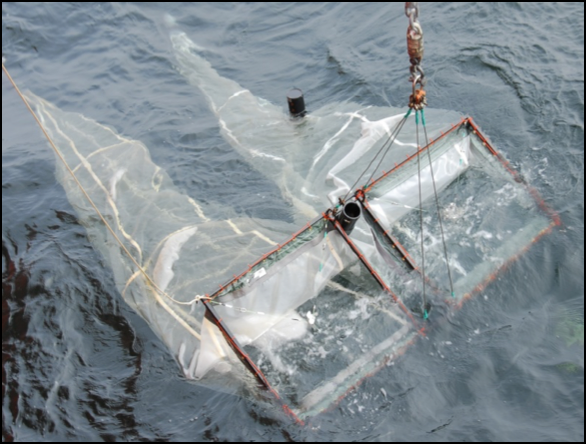 The first net we use is an ichtyoplankton net called “Tucker Net” (Figure 3). 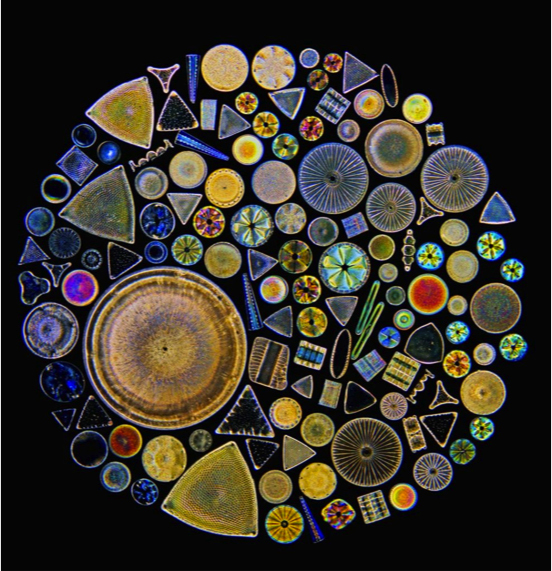 With this sampler, we can catch fish larvae as well as zooplankton. 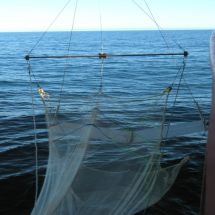 Two other nets are used to sample adult fish; the Isaac-Kidd Midwater Trawl (IKMT) in the pelagic zone and the Benthic Beam Trawl in the benthic zone (Figure 4). 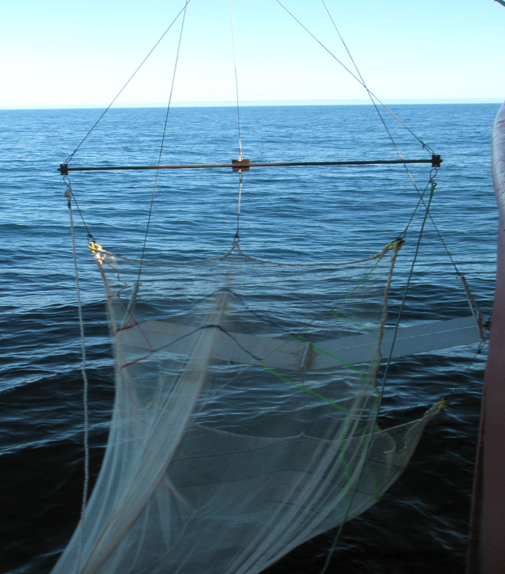 Figure 3: The Tucker Net, an ichtyoplankton sampler. 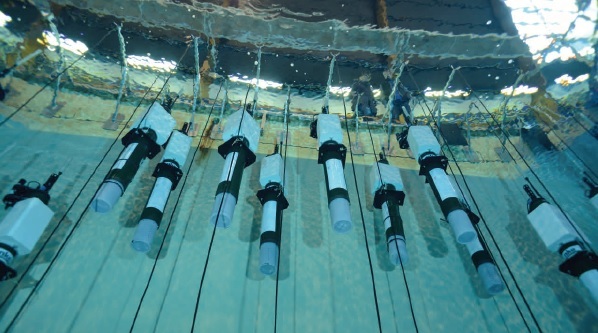 Figure 4: The IKMT (left) and the Benthic Beam Trawl (right) deployed to catch adult fish. 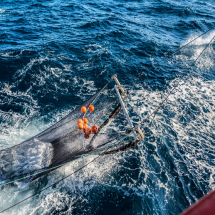 Unfortunately, we have not been able to deploy these three trawls very often since the beginning of the cruise because we work mainly in ice covered areas. But we still have a few results from fish sampling. 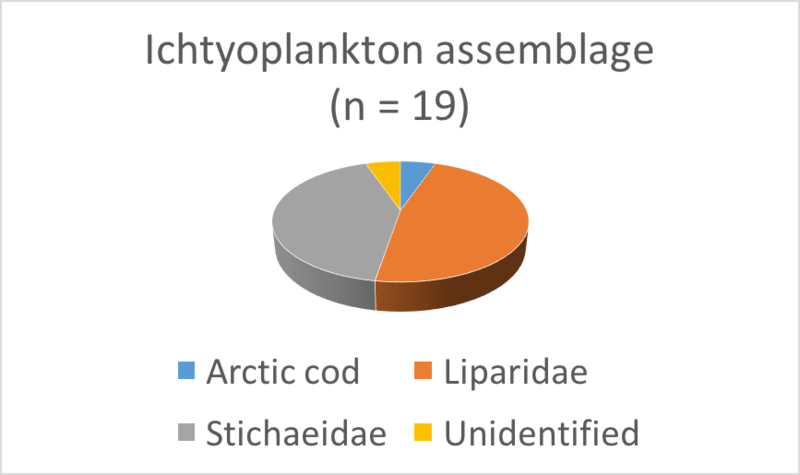 The ichtyoplankton assemblage is so far dominated by Liparidae and Stichaeidae (Figure 5). 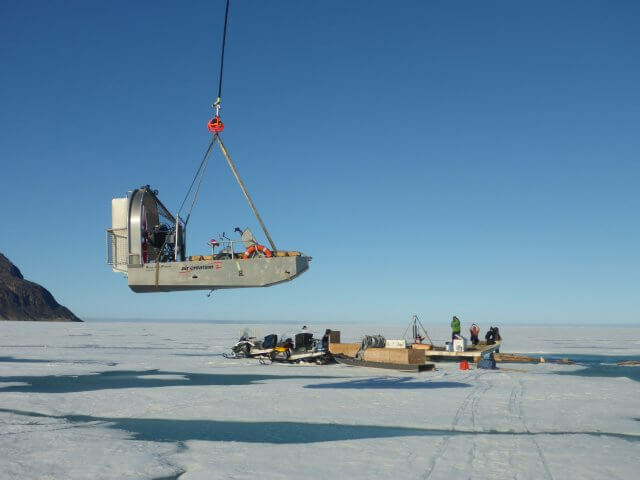 Surprisingly, only one Arctic cod larvae was caught. 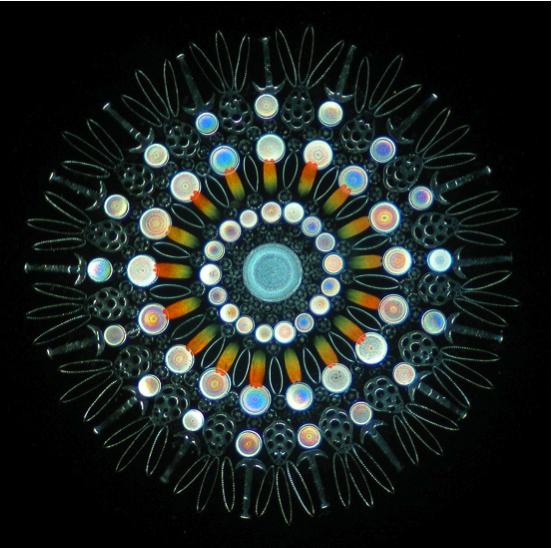 Figure 5: Assemblage between Arctic cod (left), Liparidae (middle) and Stichaeidae (right) larvae/juvenile. 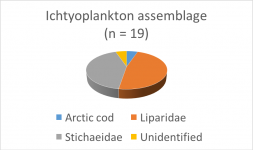 To date, half of the adult fish assemblage is composed of Cottidae,. A few halibut and Stichaeidae were collected with our nets as well. 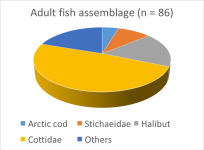 However,, only four adult Arctic cod were caught. This leads us to ask ourselves: Where is the Arctic cod? 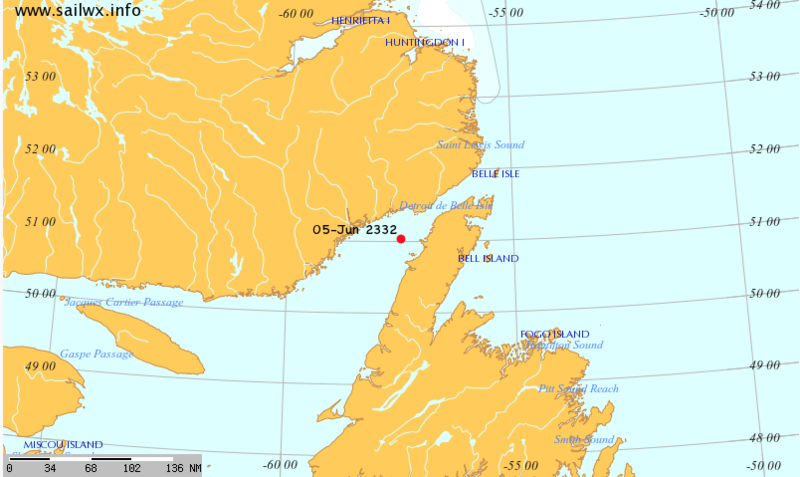 A hull-mounted echosounder EK60 is continuously running and recording data on the CCGS Amundsen during the cruise. 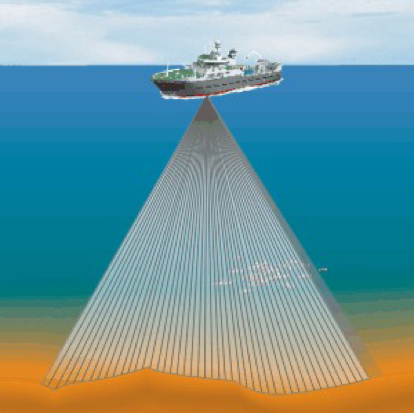 An echosounder is a device that sends sound through the water below the ship (Figure 6). The sound is then reflected by the organisms in the water column and returned to the echosounder. 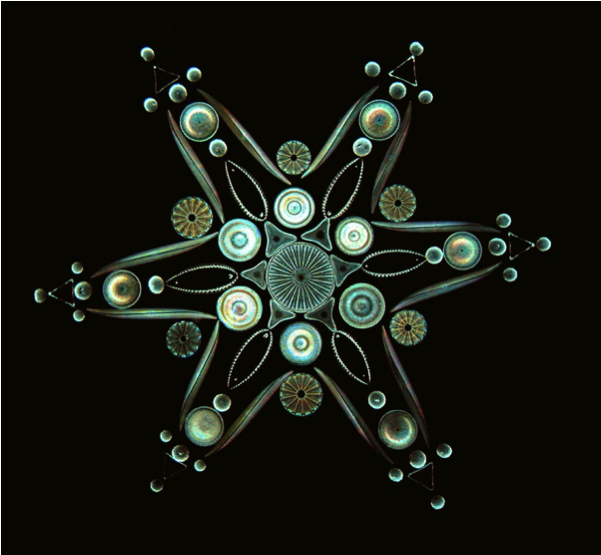 The strength of the echoes created by these reflections of sound is measured by the echosounder, which produces an echogram. Figure 6: Operation of an echosounder. 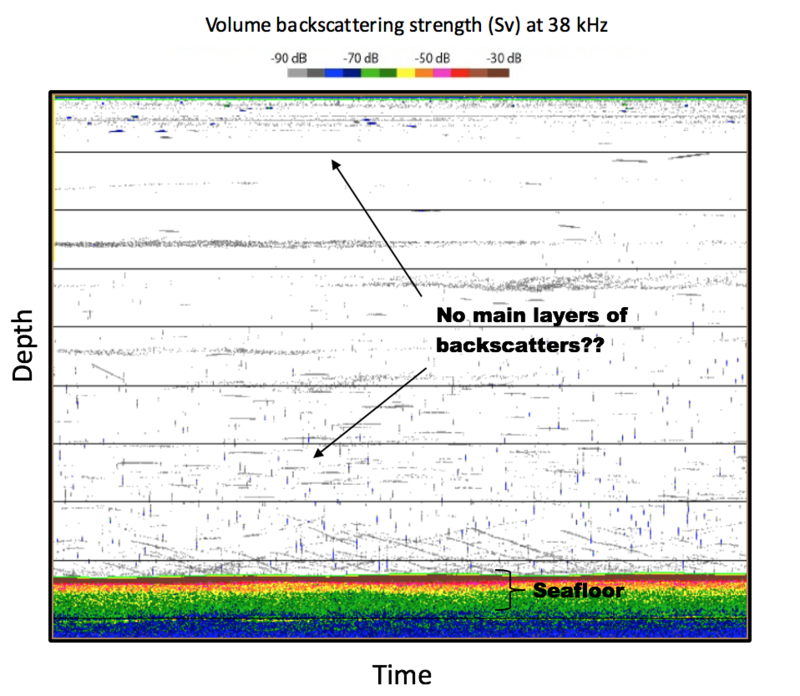 Here is an example of an echogram from a survey in northern Baffin Bay in 2014 (Figure 7). 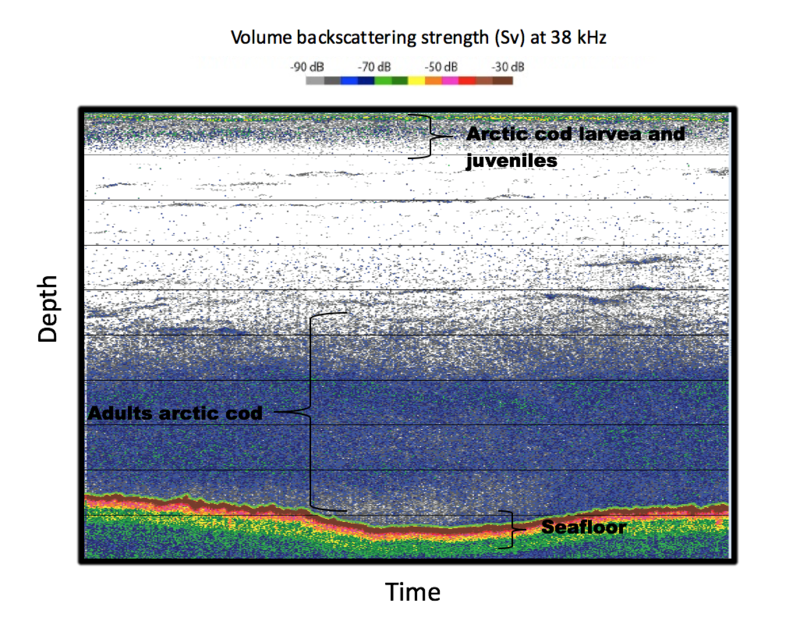 Figure 7: Example of an echogram from northern Baffin Bay. On an echogram, each colored dot represents a backscatter, or echo. We can see that the seafloor has a very high backscattering (echo) strength according to the scale above the echogram. We can also notice two main layers of backscatters, which in the Arctic Ocean is characteristic of the vertical distribution of Arctic cod. 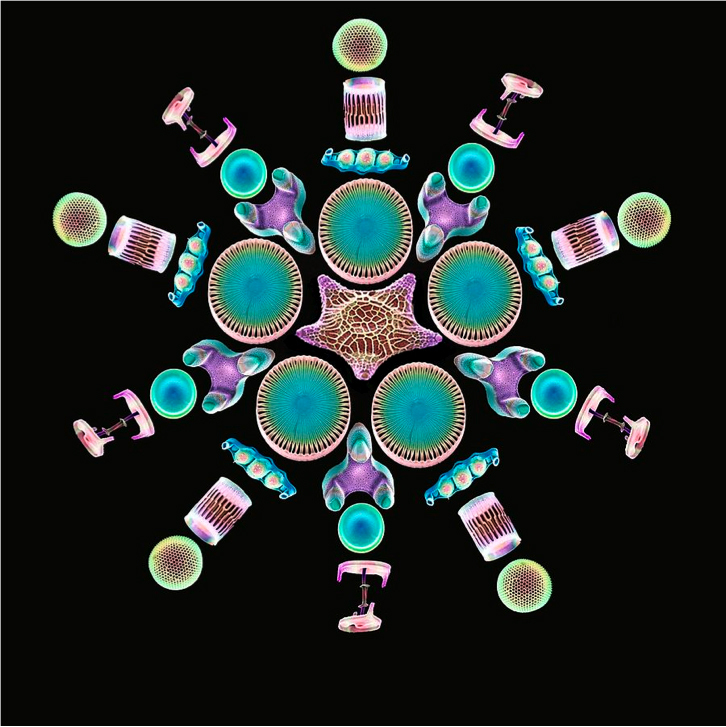 This fish species segregates in two layers during the summer period; the larvae are found at the surface and the adults in the mesopelagic zone down to the seafloor. 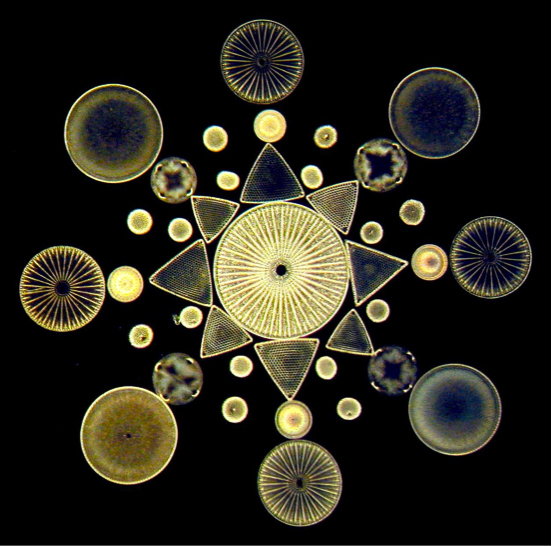 This example of echogram is the kind of echograms usually obtained in the Canadian Arctic where the Arctic cod dominates the pelagic fish assemblage. 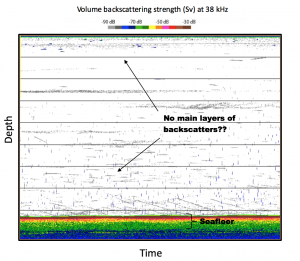 However, this is not the kind of echogram that we have obtained so far during this cruise in southern Baffin Bay (Figure 8). Figure 8: Example of an echogram from the Green Edge/Amundsen 2016 cruise in southern Baffin Bay. 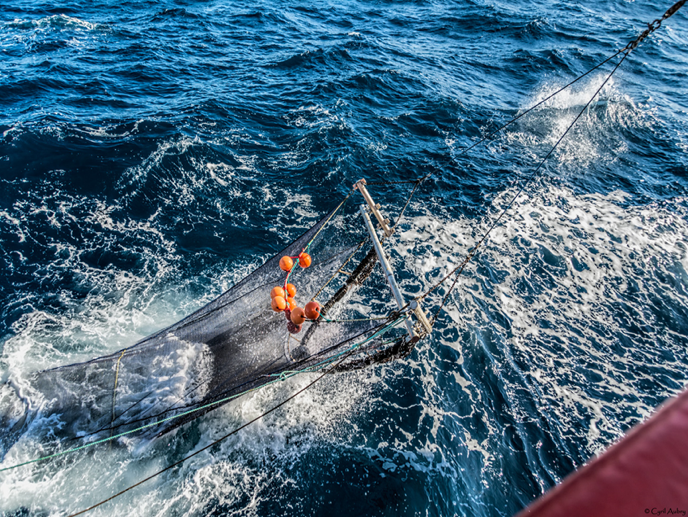 Let’s hope we will find them before the end of the cruise and get some in our nets!